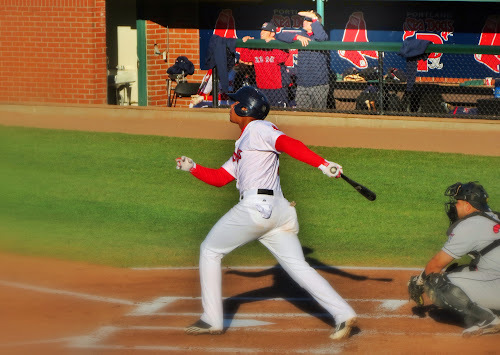 Scooter by the Sea: Baseball is Back! Before another month flies by, I should let people know where I've been. Well, it's simple - baseball is back and I'm feeding my obsession. 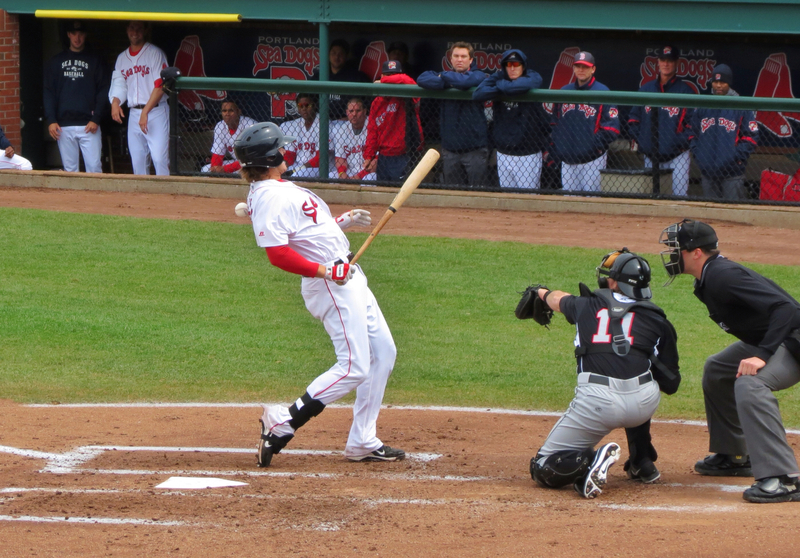 Right now, I'm listening to a Portland Sea Dogs game on radio and watching the Tigers play the Indians. Earlier today, I watched the Reds and the Brewers and the Cubs at the Nationals. And in an hour, I'll be watching Oakland at Seattle. After Spring Training games began in February, I watched 72 games - so far, I've watched nearly 80 regular season games on the MLB AtBat iPad app. In addition, I've been to 16 Sea Dogs home games and have listened to all 17 road games on radio. But riding my Vespa 250 is still a major part of my happy retired life. Between my solo trips and rides with Mike, I've ridden just over 700 miles. And I missed 10 days on the road while the scooter waited for a new exhaust gasket to arrive from the West Coast. The Vespa sounded about a third as loud as a Harley, and that and the fact the riding could cause damage ($$$$) led me to huddle at home with my iPad, scoring app and a case of Diet Moxie (and some chips, maybe a Cheese Doodle or two, some Chinese take-out...). Watching a baseball game is something so wonderful to me that I can't really describe it, and I won't even try. Either one understands, or one does not. Super-prospect Xander Bogaerts slams a home run high and very deep. 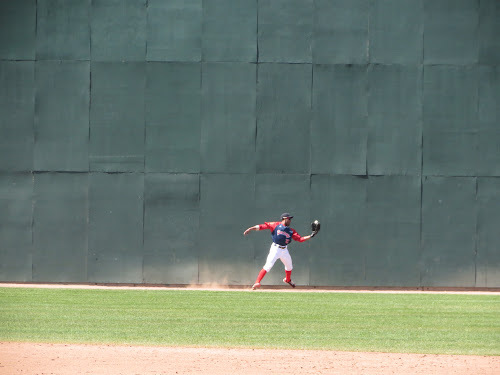 Left fielder Tony Thomas makes a surprising catch following a long dash to the "Maine Monster", Portland's tribute to the "Green Monster" fence at Fenway Park. But Mike and I did ride a lot, and he is the proud owner of a new Piaggio BV 250 Tourer. 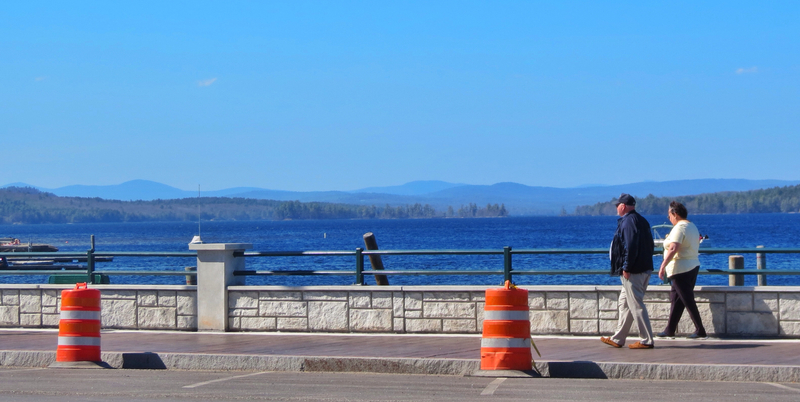 One ride on a perfect day reminiscent of mid-summer was a trip around Sebago Lake. 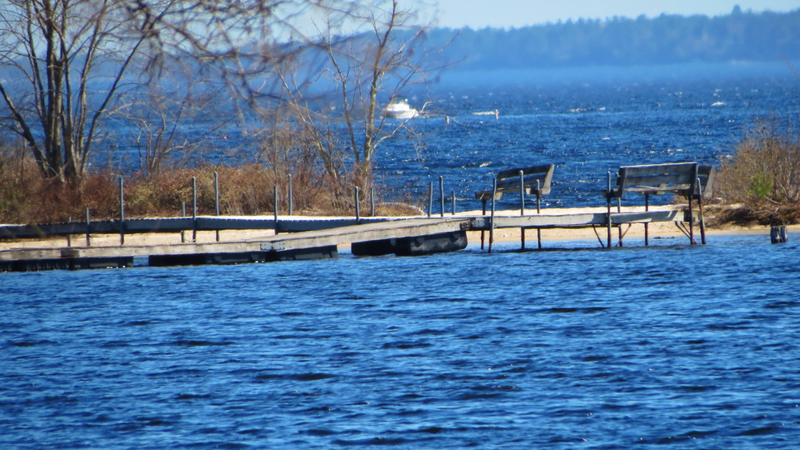 We stopped at Sebago Cove, which is next to Trickey Pond in Casco. 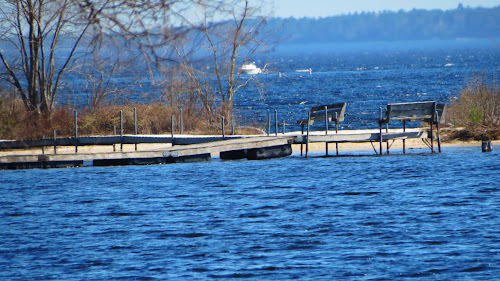 Beyond the dock is what we call "The Big Lake." 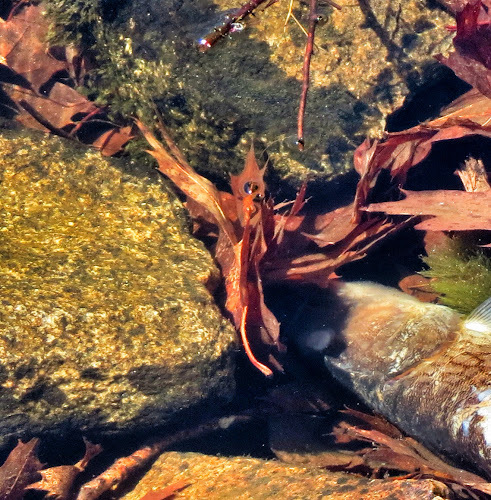 And I'm sure this little island has a name - something typical of the pragmatic Mainer, like "Little forest next to big rock"
Mike noticed this deceased fish by the shore - note how clear and clean the water is! - and asked "What kind of fish is that?" "Pickerel," I guessed, knowing Mike-the-city-boy wouldn't know if I was right or wrong. 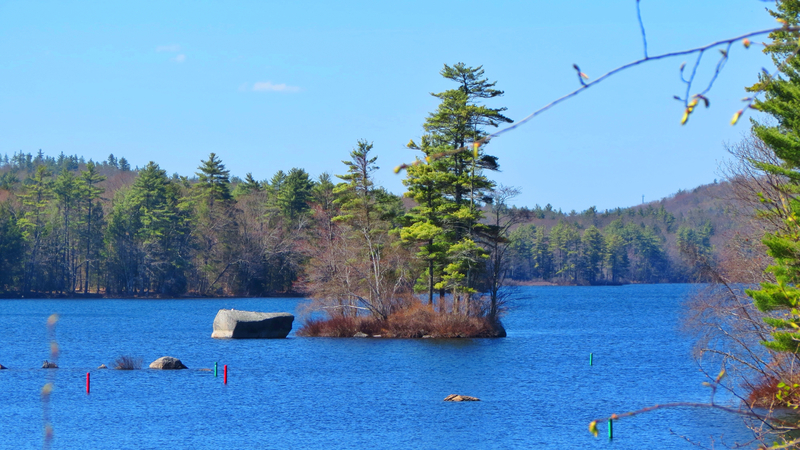 "Is pickerel a good fish to eat?" he asked. "That one isn't," I said. We rode away, and Mike asked no more culinary questions. 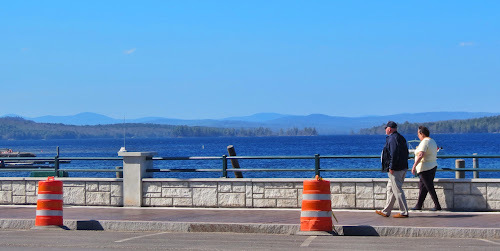 Our next stop was in Naples, with a great view of the mountains of New Hampshire beyond Long Lake, so named by pragmatic Mainers because it is ... long. I DO understand the passion for baseball. The opening day of the "Cactus League" games is the highlight of the lessening days of winter around here and the beginning of Life is Opening Day for my beloved Cincinnati Reds. Glad you and Mike are enjoying your scooting adventures up there! Thank you - it's marvelous knowing that someone loves the game as I do! And you have a great team to follow. I rarely miss a Bronson Arroyo start. He was a great pitcher for the Red Sox, and whenTheo traded him, most diehards cursed the Sox GM. Chapman and Votto are genuine ball players, the real deal. Do you have MLBTV, or AtBat? Although I can't watch the Sox live, every other game is available! It's one of those too-good-to-be-true things that never disappoints. Well, happy riding and joyous enjoyment of the Game. I am going to see if I can get that app for my Kindle Fire. I listen to the games on 700 WLW, which around here is like "religion". I can get it through IHeart Radio on-line too. I remember the days of watching The Big Red machine play on the field and seeing Marge Schott with her dog, Schotzie, smoozing with the fans down at the stadium. Good days gone, but still more to come. As it is for my iPad, the app is free for the Fire - BUT - one must buy MLBTV premium, for $125 or so. It's steep, but as my dear wife says, the price is worth it - she knows what I'm doing from February to October! But summer would not be summer without baseball and for that reason alone I appreciate it. Or in your case- summer would not BE at all without baseball. Ah, summer! Sitting here in my dining room, gazing out at Kathy's budding garden, listening to 60s oldies on Songza, feeling the gentle breeze through our sliding door, I almost forget that there are no games on until 6:30 pm! Now that's a lot of baseball. It may seem like a lot, but I've missed far too many in my opinion. I, too, am a baseball fan. Grew up in Michigan and followed the Tigers. Jimmy Northrup's dad was my little league coach. I still follow them pretty avidly, but my passion is split with my adopted Cardinals. Talk about two franchises with great histories! The radio was my vehicle for "watching" baseball when I was a kid. I sometimes think radio is still the best way to watch a game if you can't be there live. My turn to run, got to see how the rookie pitcher for the Cards is doing. Had shut out the Mets, through 5.